I’m not a massive horror fan, mainly due to a combination of me being a big fearty, and the general saturation of the genre, with the low budget nature ensuring a lot of absolute generic rubbish makes it way to the screen. With that being said, I’m still game for a well made horror film, and the positive reviews of this Australian effort were enough to warrant my interest. ‘The Babadook‘ shares a lot in common with modern horror films, but it excels not only because of the clever camerawork and strong examples of the ‘things go bump in the night’ style, but because it has a really good script that shows the psychological unravelling of a troubled woman. The story begins by introducing us to single mother, Amelia (Essie Davis) and her son Samuel (Noah Wieseman), and we learn early on that Samuel’s father died whilst driving his mother to the hospital to have him. Amelia has never truly moved on from the loss of her husband, with his belongings still kept in the house, and Samuel acting as a constant reminder of what she’d lost. It doesn’t help that Samuel is badly behaved, has an infatuation with weapons, and doesn’t get on well with other children, and this adds to the stressful environment Amelia lives in. The vehicle which causes things to unravel is a children’s book called ‘Mister Babadook‘ with creepy imagery and foreboding text that seems to appear from nowhere on the shelf, and in common horror style, it’s not too easy to get rid off. As I mentioned earlier, the strongest aspects of the film are when it focuses on Amelia’s increasingly fraught state of mind, as she begins to suffer from a lack of sleep which leads to visions and hallucinations, and at this stage I liked the ambiguity on whether or not ‘The Babadook‘ is a figment of her (and Samuel’s) imagination, as well as some of the creepy imagery projected through the television as she can’t sleep. Ironically enough, one of the other main selling points of the film is the prevalence of dark humour throughout, which manages to shine through without damaging the horror credentials. Essie Davis is solid as Amelia, but I thought Noah Wieseman, who played Samuel, was particularly excellent for a child actor, just natural enough in his performance to resonate. 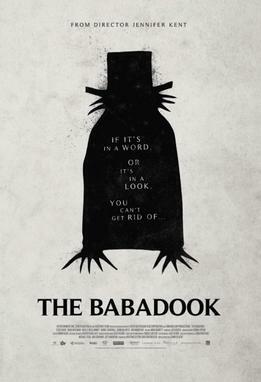 Overall, ‘The Babadook‘ is an excellent psychological horror film, and one of the better horror films in recent years.